I assumed that the name switch regarding Ben’s dad and Abe’s older brother was to make things less confusing… A lot of the times TV networks don’t trust their viewers even with things as simple as telling two characters with the same name apart, so two Benjamin Tallmadge’s (or two Richard Woodhull’s) was a no. Obviously this rule is broken since Abe’s son is named Thomas, supposedly after his older brother, presumably to emphasize Abe’s guilt about his death and dedication to his legacy. Because, you know. Drama. This is an exceexcellent resource. Thank you. Long Island Surnames is indeed an EXCELLENT resource. Through research on that site, I discovered that Robert Townsend (Culper Jr.) was my 5th cousin 5x removed. So exciting! In a way, because he had no descendants, he belongs to all of us Townsends. I hope the series doesn’t make him out to be more cranky and antisocial than the facts would seem to indicate (e.g. as in Rose’s book). Thank you for the clarification. I just started watching the episodes of Turn on Netflix. 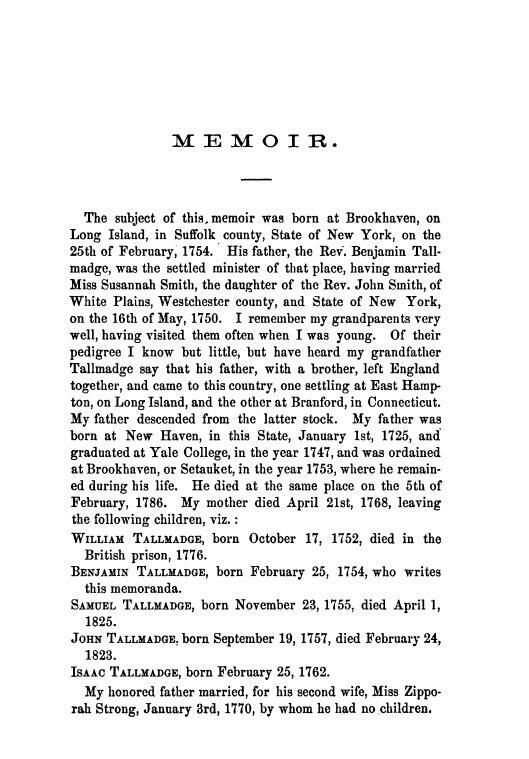 I am a descendant of Major Benjamin Tallmadge and last night I watched the episode revealing “Samuel’s” death and was like “that’s not correct” and pulled up my family tree and information and confirmed it was William, not Samuel, who perished as a prisoner.